I'm glad that Habr got brand new English version. And my first post in English is about new MIT project. 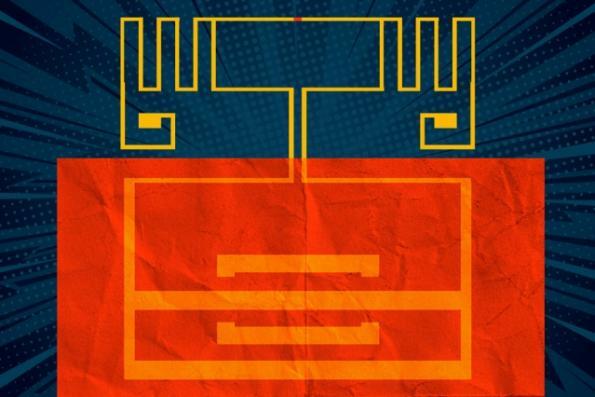 Researchers designed an ultra-low capacitance and ultra-low resistance Schottky diode capable of switching at GHz frequencies. This diode is able rectify and convert random WiFi signals into DC electricity. MoS2 «rectenna» (this is how scientists called their invention) could become the main element of roll-to-roll process to cover a huge areas. To be fair antennas capable transform radio signals in to electricity is not a new thing. The main achievement of MIT engineers is creation of soft rectenna made from special alloy. Common rectennas are not flexible because they commonly made from gallium arsenide. Thus, it could be used as an electricity source for small devices with minimal power consumption. As aformentioned MIT developed MoS2 rectenna with soft structure. This invention consist of two parts. First one is a flexible RF antenna that simply captures electromagnetic waves and passes it to the MoS2 Schottky diode (second part). Then the diode converts AC signal into DC voltage. This is a great invention because in many countries and regions WiFi signals are ubiquitous. So you can use it to get unlimited amount of energy (it is not actually unlimited, but anyway it is free). Energy could be used to power up battery-free devices. Also soft rectennas could be really big in order to generate more electricity. During experiments scientists were able to generate about 40 microwatts of power. The power levels of Wi-Fi signals were around 150 microwatts. It is just enough for LED or silicon chips with minimal consumption. Usually these chips work inside implantable medical devices. Not every medical implant could be equipped with battery (there are many reasons) so «free» electricity is a good way to power up these devices. «By engineering MoS2 into a 2-D semiconducting-metallic phase junction, we built an atomically thin, ultrafast Schottky diode that simultaneously minimizes the series resistance and parasitic capacitance,» says first author and EECS postdoc Xu Zhang. He also added that new rectenna could convert most of the radio-frequency bands used by our daily electronics, including Wi-Fi, Bluetooth, cellular LTE, and many others. Now the minimal output efficiency of new system is about 40%. At the same time power efficiency of most modern rigid rectennas made from silicon or gallium arsenide achieve around 50 to 60 percent. In the nearest future scientist will develop more efficient flexible rectennas, current prototype is just a proof of concept. 40 microwatts LED? Looks like an error. The typical LED consumption differs from 50 to 500mW, but it is not in microwatts range. A couple suggestions: "brand new" not "bare new", "to be fair" instead of "honestly". Thank you. I'll be grateful if you will PM me next time (this is like a rule here at Habr).